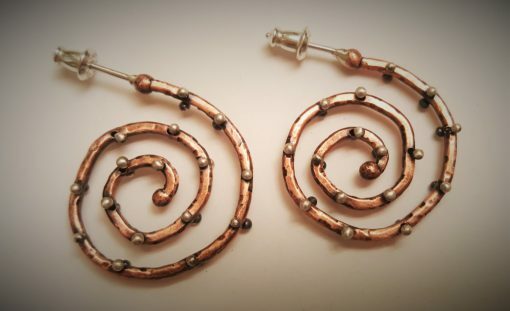 Dr. Suess in style… These earrings are approximately 1.5″ in diameter, with a post. 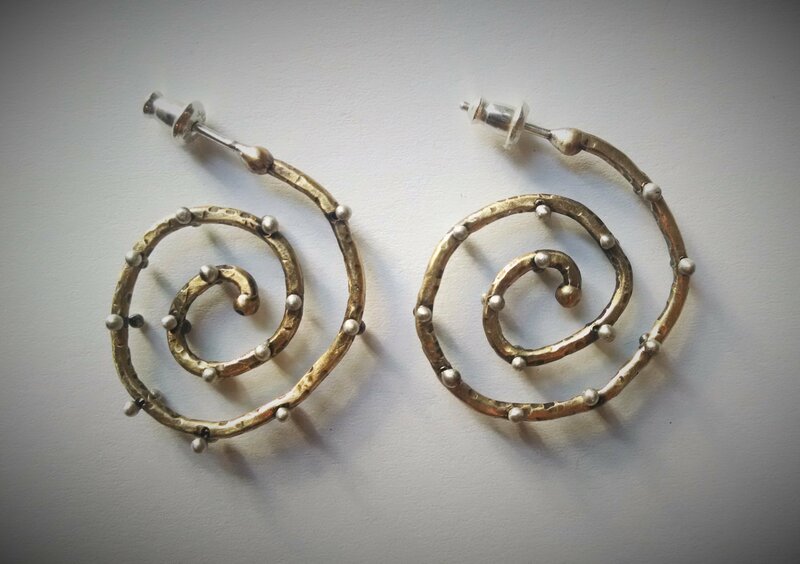 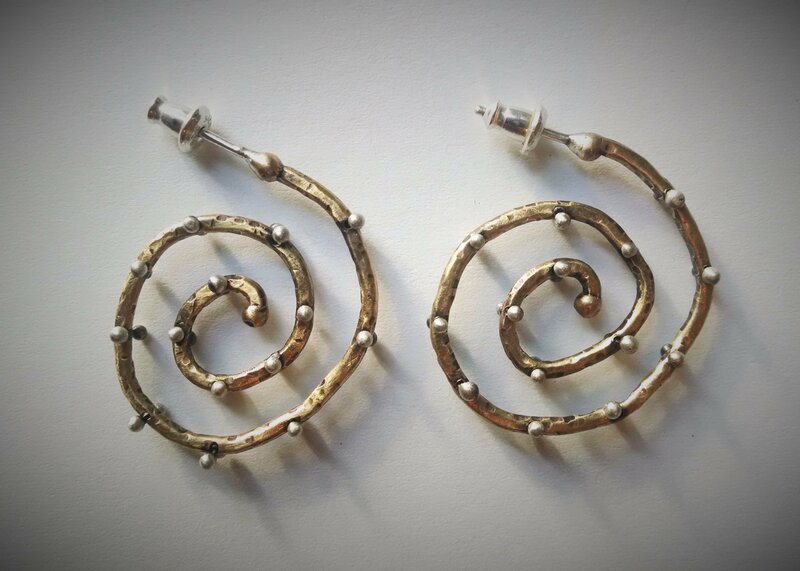 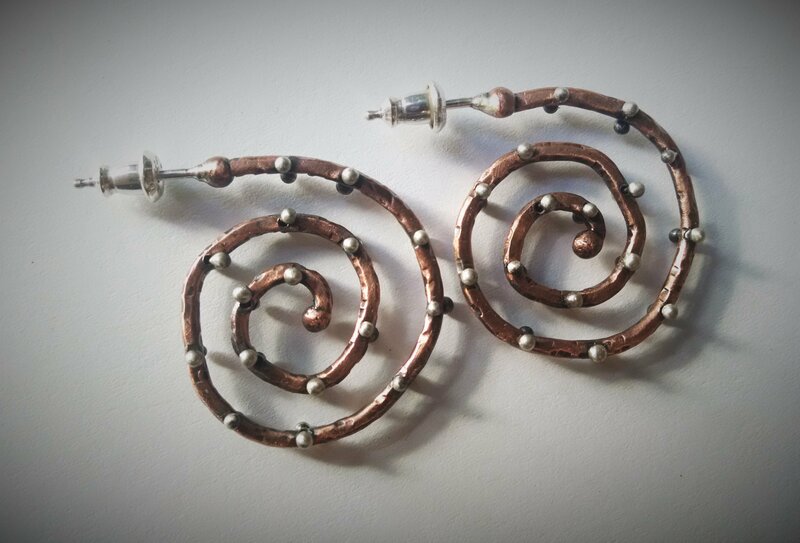 Many little rivets are fused through the spirals, inside and out. 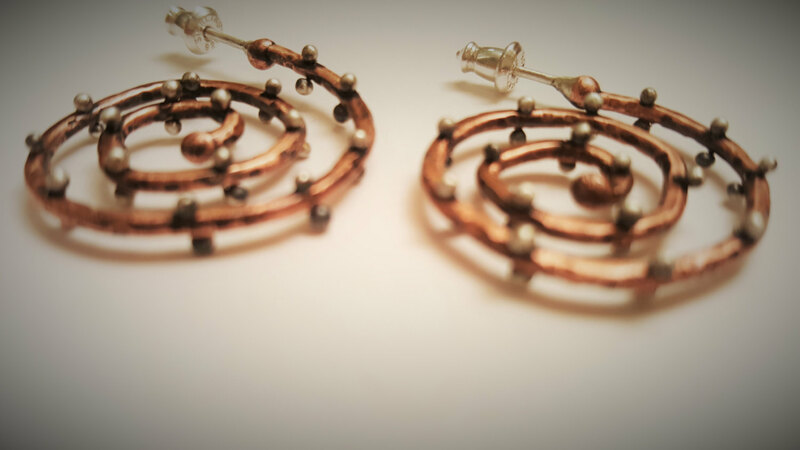 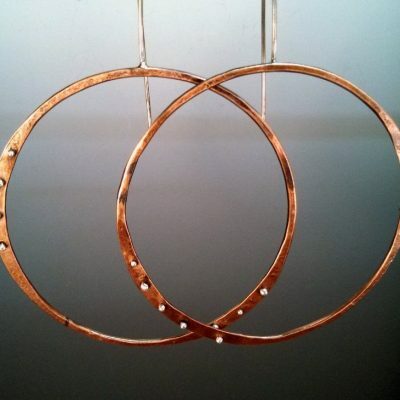 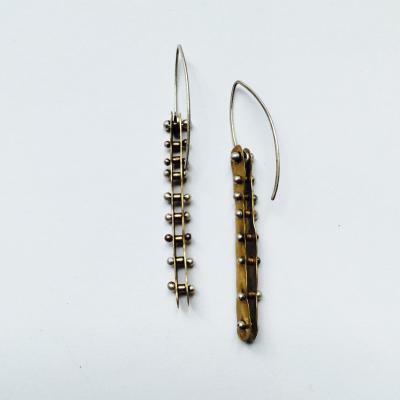 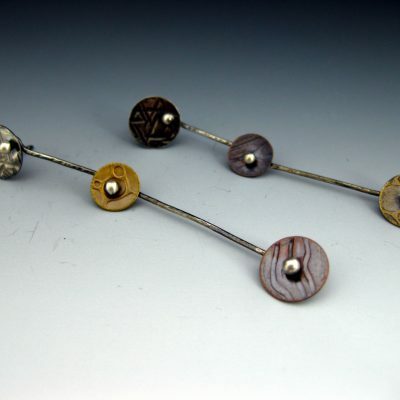 The earrings are oxidized, brushed and treated with lacquer.